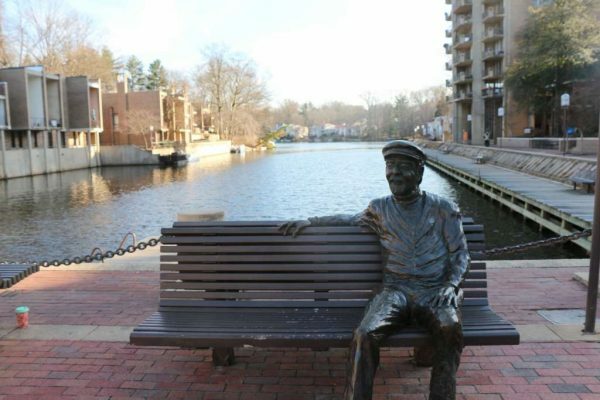 The Reston Historic Trust and Museum is hosting the 55th annual anniversary of Reston’s founding with a celebration on Saturday, April 6. Festivities for Founder’s Day will run from noon to 4 p.m. at Lake Anne Plaza. The event will include a moon bounce, children’s activities, face painting, a public art tour and exhibits at the Reston Historic Trust and Museum and RCC Lake Anne’s Jo Ann Rose Gallery. Attendees can also share their Reston stories with recorded oral histories from 1-3 p.m. at RCC Lake Anne. Exhibit enthusiasts can find several around the area including “Fine Lines” at the Jo Ann Rose Gallery, which features artists’ interpretations of lines.